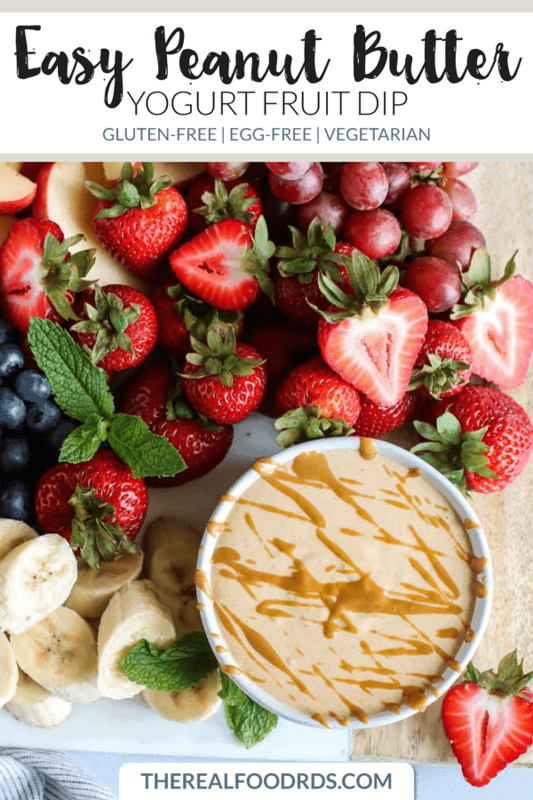 Five ingredients and 10 minutes of your time are all you need to make this healthy and easy Peanut Butter Yogurt Fruit Dip. 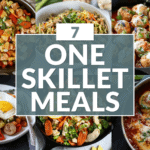 Fast and easy recipes for the win! 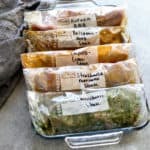 Every once in awhile I’ll plan a night to make a recipe that requires an hour or two to make. A more complex recipe. I pour myself a glass of wine, turn on some tunes and enjoy the experience. I love cooking! However, the majority of the time, I look for ease and convenience because that’s all that I have time for. My guess is you do, too. We all have our own kind of busy. Whether it’s running your kids around from point A to point B, taking care of a newborn, growing or managing a business, working a full-time job (and then some), taking care of loved ones, being a student or all of the above…life is busy. 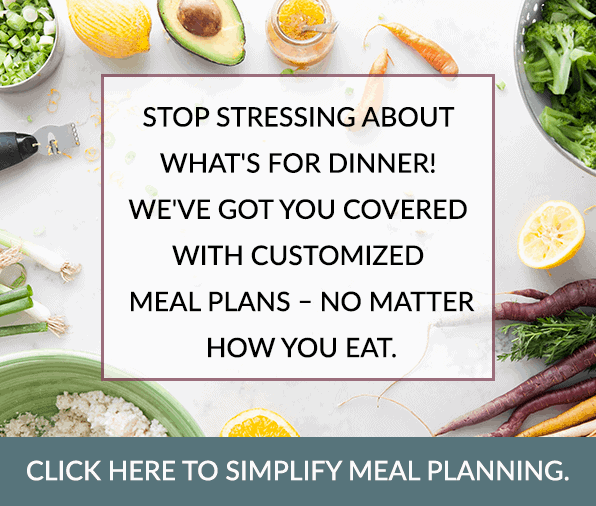 And now for a little tough love…‘Busy’ isn’t an excuse for tossing healthy eating out the window and hitting up the drive-thru. No way! Eating wholesome and nourishing foods must be a priority. When you make healthy eating a priority, you nourish your body with foods that give you the energy you need to tackle each and every day. You feel better, you’re less likely to get sick and you’re capable of so much more when you’re adequately nourished! 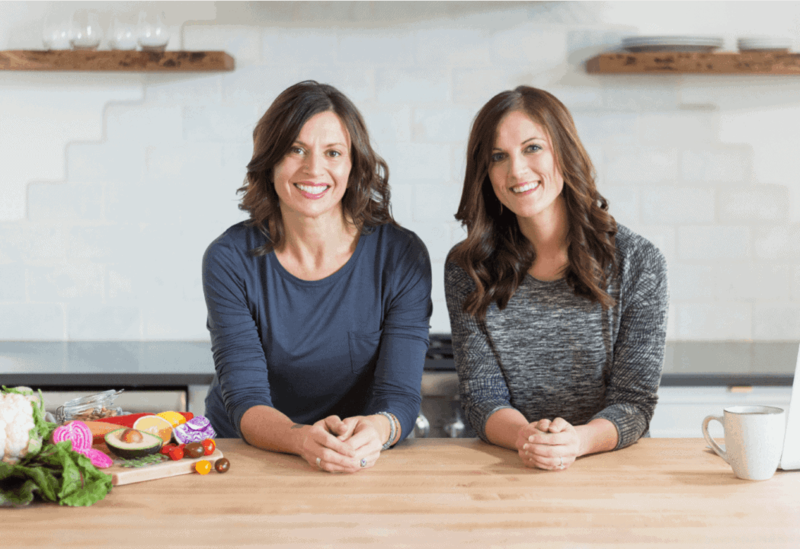 This is exactly why we, The Real Food RDs, are committed to sharing recipes that are short on ingredients, healthy, easy to make and of course delicious. 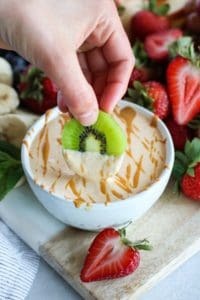 Today, I’m sharing a super simple and scrumptious Peanut Butter Yogurt Fruit Dip – a recipe that both kids and adults will love. 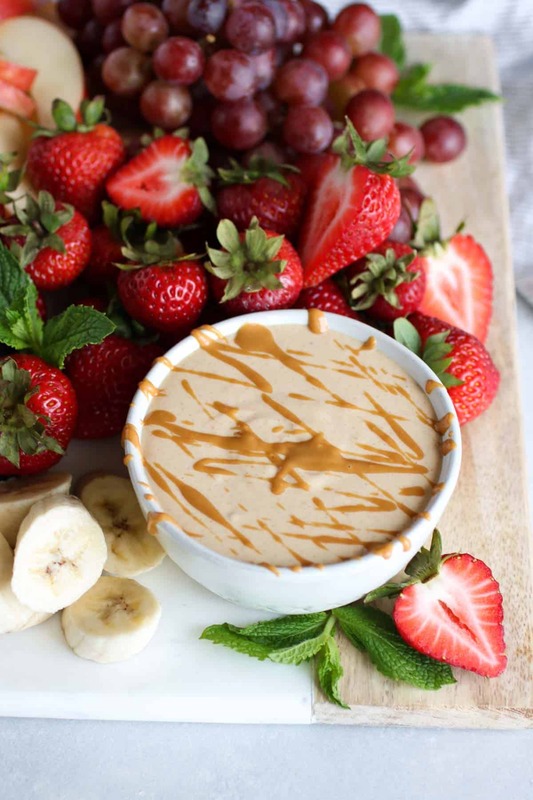 Peanut Butter Yogurt Fruit Dip is made with Organic Valley Grassmilk Yogurt. Organic Valley Grassmilk Yogurt has become a staple in my house! 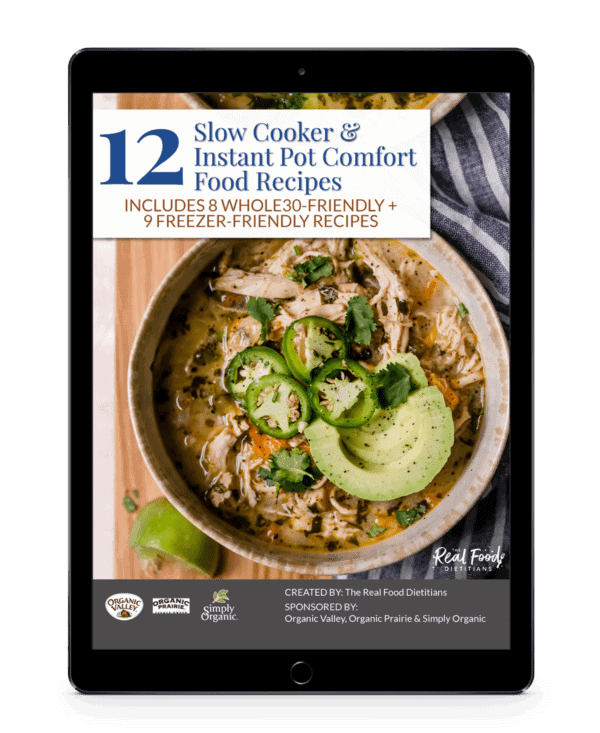 It’s creamy, it’s flavorful, and it’s made with the highest-quality ingredients. I love it served with fresh berries and our homemade paleo granola.It’s almost like a dessert! Oh and in the Fall when I’m craving all things pumpkin, I serve the vanilla Grassmilk Yogurt with our Pumpkin Spice Granola. So good! 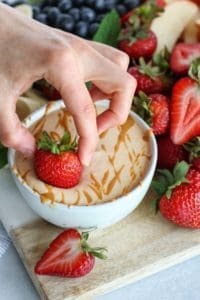 I also use it in recipes like this Peanut Butter Yogurt Fruit Dip, Jess’s Strawberry Cheesecake Smoothieand several of the recipes found in our FREE How to Build a Better Lunchbox eBook. 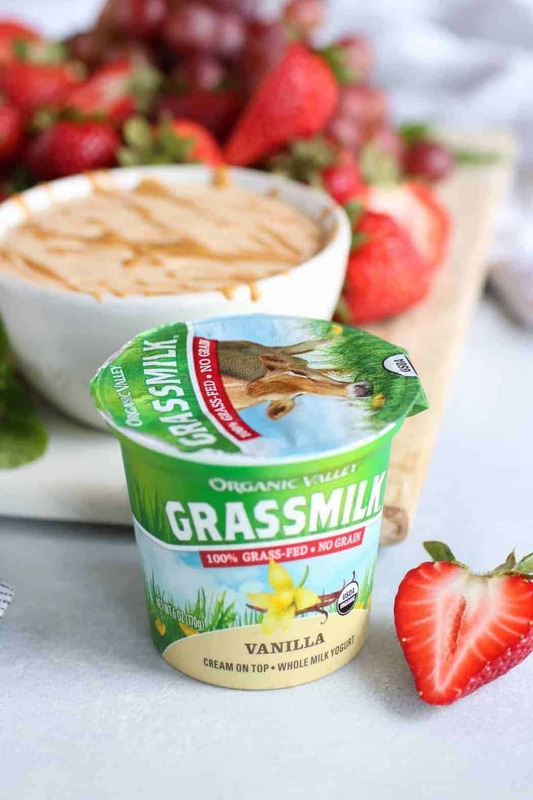 The plain Grassmilk Yogurt is great for savory cooking and applications like adding on top of chili or making a savory dip. So what is “grassmilk” anyway? In June, Jess and I had the opportunity to visit one of the Organic Valley, family-owned and operated 100% grass-fed dairy farms. It was a wonderful experience where we saw firsthand what all goes into raising organic, 100% grass-fed, happy cows. An “operation” that is fueled by pure passion and hard-working farmers! If you would like learn more about why we choose organic, grass-fed dairy, you can read this blog post, “Why Grass-fed Dairy?”. Now back to the recipe…. 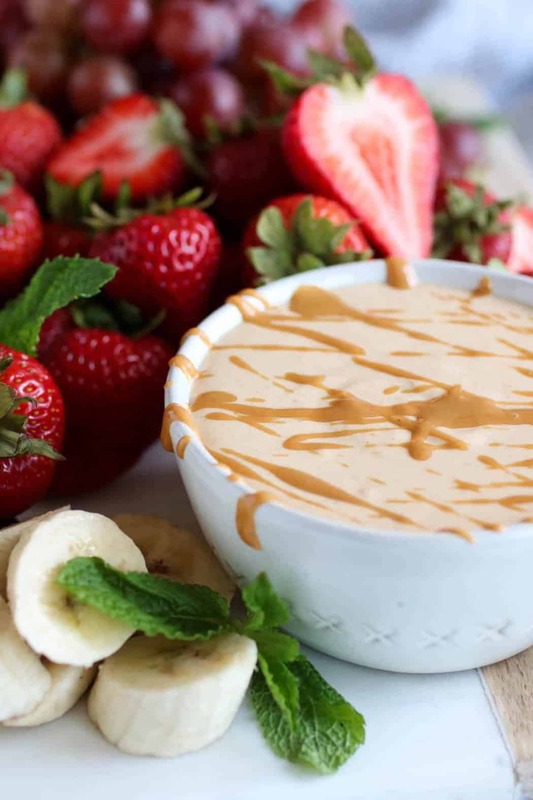 Peanut Butter Yogurt Fruit Dip is perfect for “lunchboxing” and after-school snacking. 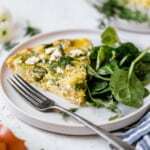 It’s complete with healthy fats and protein, and the fruit provides a nice dose of antioxidants and fiber. 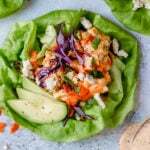 You can whip up this dip on a Sunday and have it for packing into lunches and/or serving as after school snacks throughout the week. 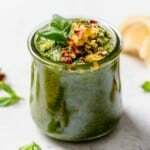 Because it’s such an easy recipe, it’s a great one for getting the kids involved in the kitchen and learning some basic cooking skills measuring out ingredients and safely using a hand mixer or food processor. 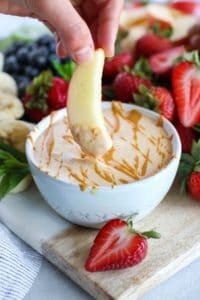 Peanut Butter Yogurt Fruit Dip also makes a great addition to parties and special gatherings. 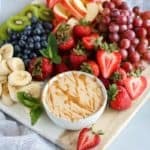 Pile an assortment of fruit on a platter or make little fruit kebabs and serve this dip at your next party or gathering. 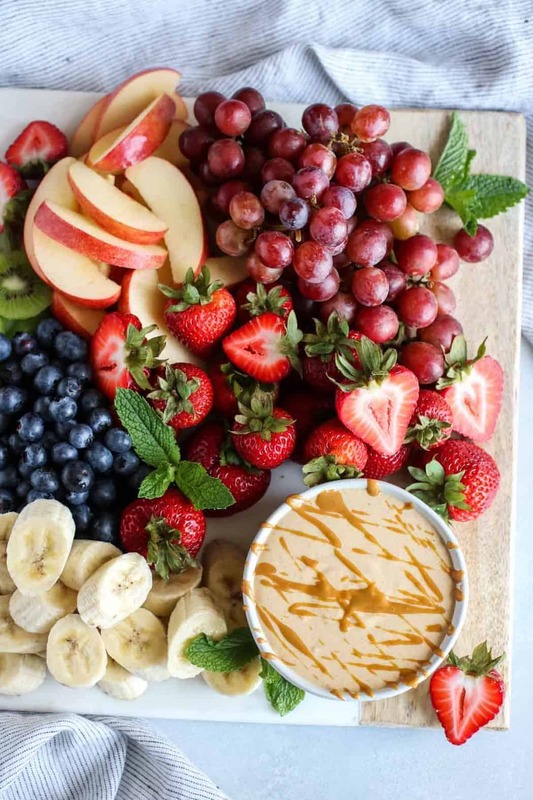 The holidays will be here before we know it and this fruit dip will surely make for a crowd-pleasing and healthy addition to the spread. 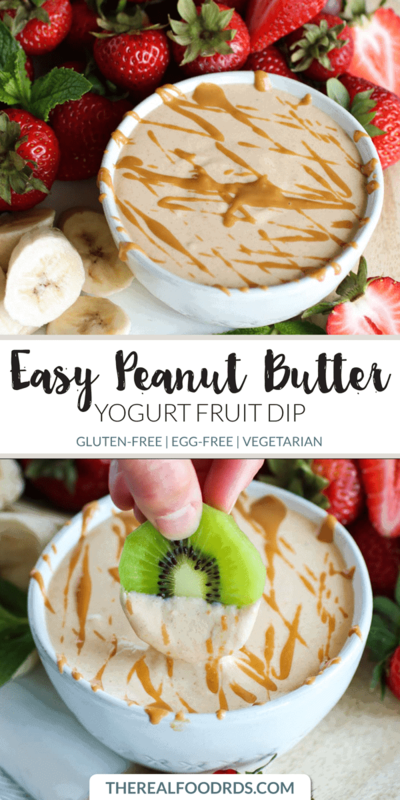 See how fast this Peanut Butter Yogurt Fruit Dip comes together in the video below! Mix with hand mixer or stand up mixer until well combined. 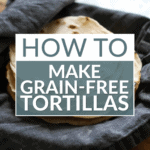 May also use a food processor. Transfer dip to a small bowl. Chill for 30 minutes to thicken. Serve with fresh fruit (bananas, strawberries, apples, kiwi, pineapple, grapes, etc. ).